With just over a week to go until Easter hits, I’ve become way too invested in the holiday. From chocolate eggs to fluffy chicks, I’ve bought them all, and sprinkled them around various corners of the house. 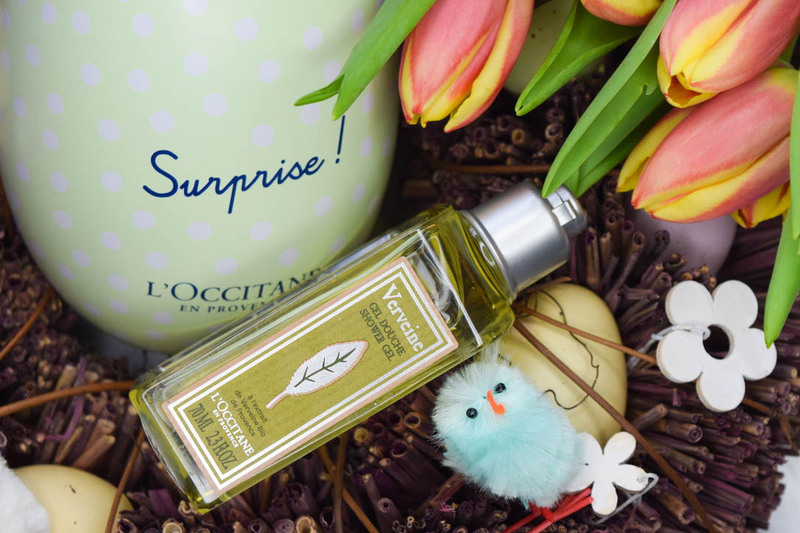 I’m loving the blast of spring energy Easter brings, and when L’Occitane sent over news of their new Beauty Easter Eggs, I couldn’t resist getting my hangs on a Verbena one! 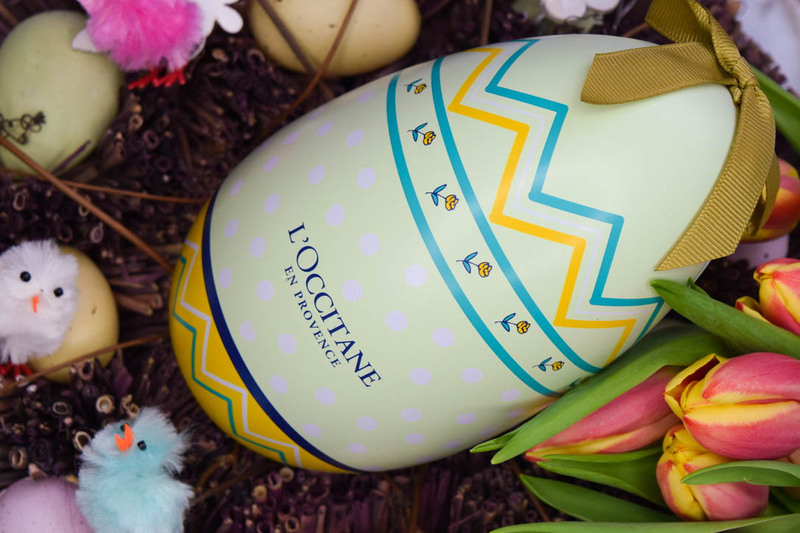 Available in two scent options – you can pick from Verbena or Cherry Blossom, the Beauty Easter Eggs are the no-calorie option for getting into the holiday mood! They come packaged in a gorgeous seasonal tin, complete with ribbon, and whether you want to use them as part of an egg-hunt, or you’d rather just treat yourself – the eggs are an absolute delight. 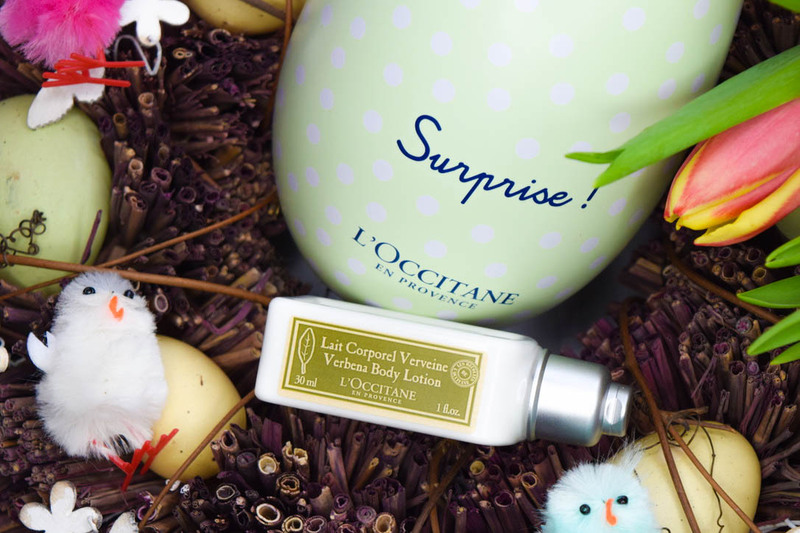 Tucked inside the eggs are three generous bottles of L’Occitane must-haves. 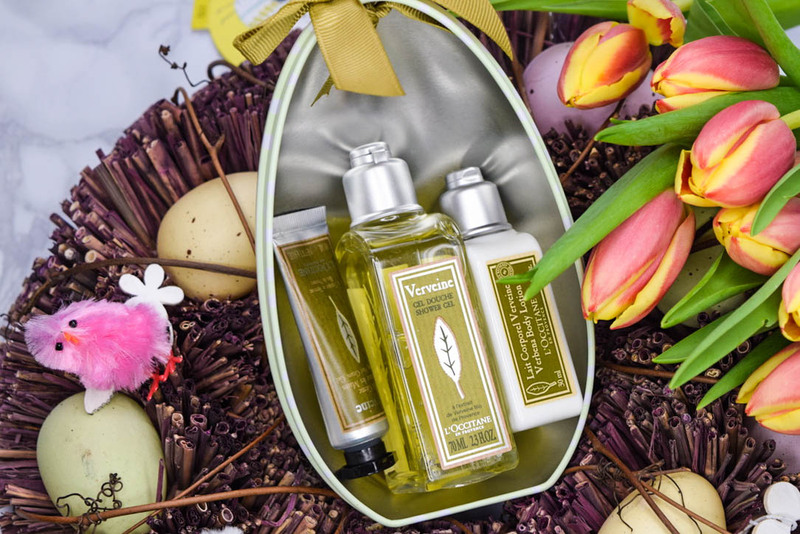 There’s a deluxe sample bottle of the Verveine shower gel, which is perfect if you’re after a super-fresh, morning choice. It smells gorgeously clean and fresh – very green and soapy, it’s a perfect everyday choice. There’s also a bottle of the Verbena Body Lotion. I am in love with the lightweight, milky formula, which sinks in almost immediately, leaving skin feeling soft and smelling incredible. I love to use it on mornings when I know I’m embarking on a long day, as it keeps me feeling fresh all day long. 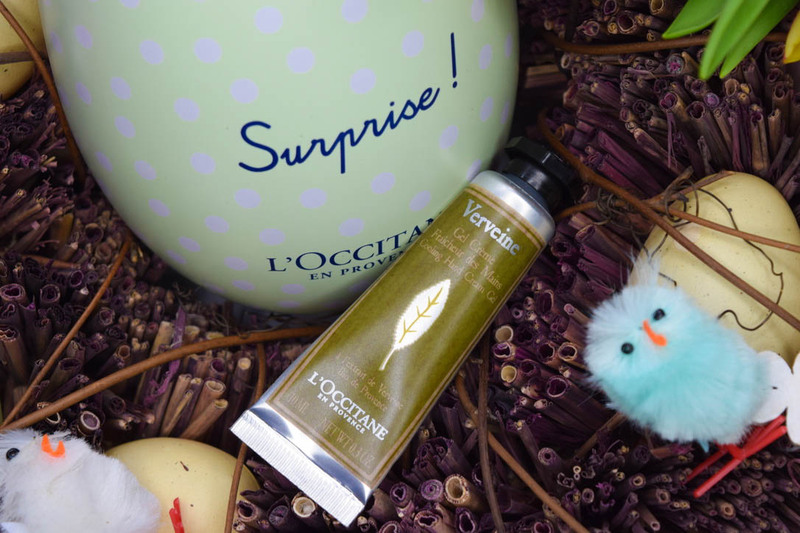 The last present tucked inside the egg is the Verveine Hand Gel Cream. Unlike other hand creams, this feels like water to apply and immediately feels cooling on the skin. I keep it in my makeup bag for use when I’m out and about, as it doesn’t leave skin feeling greasy or sticky. Instead, it just seems to disappear, leaving hands feeling soft and smelling great!